The Glen Eden Residents Association and the Glen Eden Community Patrol held a public meeting recently to discuss local issues with Synthetic Cannabis. The drug is a scourge. I have represented young people in Court for many years and I know how problematic and destructive the drug can be for them. 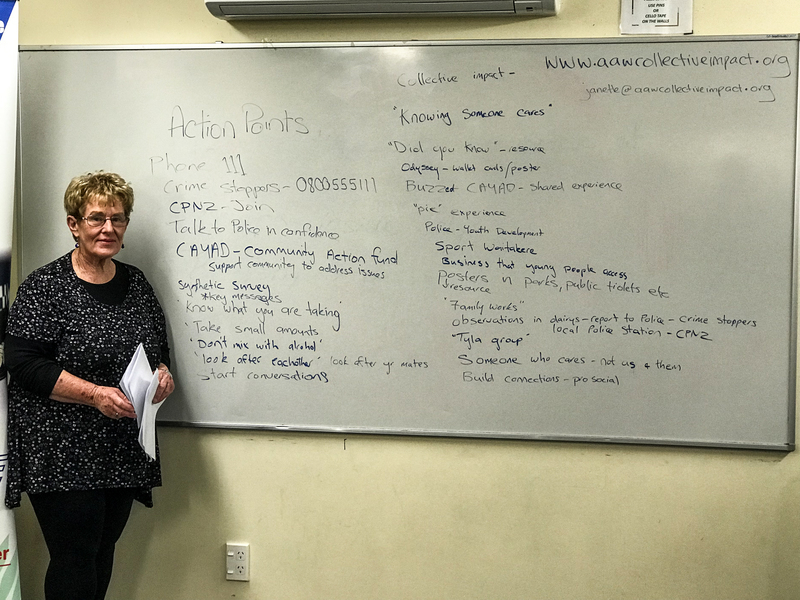 The issue was highlighted recently when I discovered BID Manager Jennifer Conlon and local coordinator of the Glen Eden Community Patrol Penny Hinchelwood following a young person who had just smoked some synthetic weed in the Glen Eden township. The young man was really the worse for wear and was really struggling. The description “zombie drug” is really apt. The meeting was very well organised and the presentations were superb. Heather Tanguay, Michelle Clayton, Penny Hinchelwood and the other members of the associations should be praised for their work in organising the meeting. The issue is a difficult one. It can invoke demands for full throttled tough on crime solutions but my experience is that these do not work. Throughout the world there is trend to treat the issue of drug use and drug dependancy as a health one. Users who develop problems should receive help and education rather than prosecution. Sargent Michael Wickman from New Lynn Police gave a really good presentation about what action the Police are taking. The suppliers and manufacturers of synthetic cannabis are being targeted with some recent success. Over 120 arrests for supplying and manufacturing have recently occurred.< He also emphasized the importance of treatment. Those consuming the drug are being offered help by the police not prosecution. I believe that the police have the approached about right. Scott Mesarich, who runs the Wicked Habits shop in Glen Eden, was an unlikely star of the meeting. The shop previously, and legally, sold permitted synthetic cannabis and from what I saw Scott had a very successful business. Following the change in the law he has adjusted his business model. His current business model relies significantly on the sale of vaping products which are better for us than cigarettes. He has also regulated the sale of herbs that are currently being used in the production of synthetic cannabis. All strength to him. We need more businessmen like Scott who are looking for a sustainable business model but one that does not cause harm. Others spoke about what we should do to help those struggling from the effect of the drug. Treatment and rehabilitation are not simple. And too many young people are experimenting with the drug. Education for both young people and for their parents is absolutely essential. So congratulations to the Glen Eden Residents Association and the Glen Eden Community Patrol for organising the meeting and for taking an active approach to dealing with this very important issue. Communities work better when local groups and the arms of the state, whether they be Police, Health or Local Government, work together.